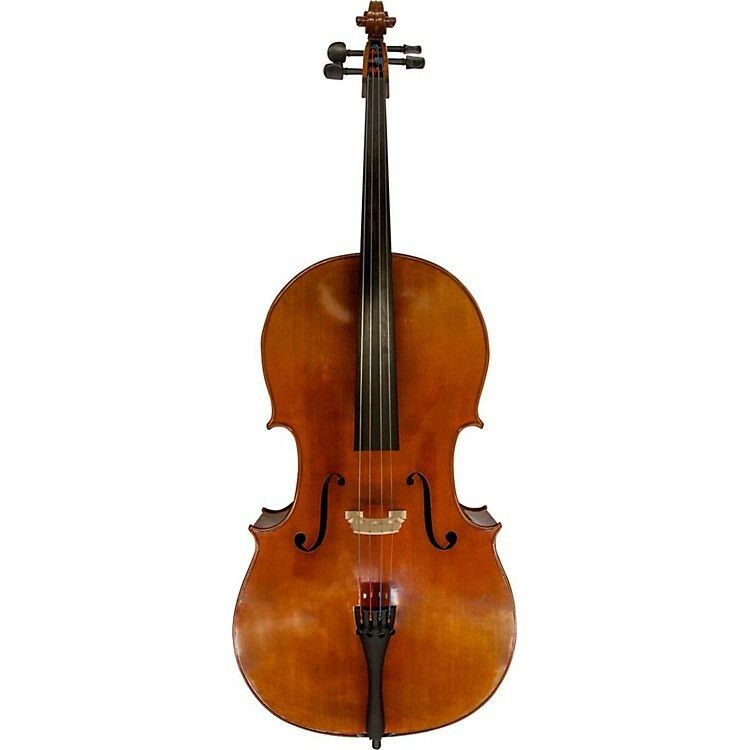 Professionally presentable cello, perfect for advanced students. The Revelle 850 cello is an entirely hand-crafted, luthier-made instrument using 15+ year aged air-dried wood. Patterned after the “Ysaÿe Guarneri del Gesu” Strad, its exquisitely graded arching offers powerful and refined tones with dark and earthy nuance. It’s a seducing instrument for a discerning player. You've done the hard work, and you deserve a fine instrument. This could be it. Wood: Master-grade beautifully flamed 1- or 2-piece maple back and carefully selected spruce top; neck, back and sides are 10- to 15-year aged air-dried wood from China. Varnish: Finest quality, hand-applied antique spirit varnish with light antiquing. Fittings: French-made Despiau one-tree bridge, Wittner Ultra tailpiece, and well-seasoned ebony pegs. Strings: Thomastik-Infeld Versum Solo cello strings offer unprecedented possibilities of combining color, sound and texture. These strings were designed for profound power, ideal response and optimal projection – and they deliver! With effortless virtuosity they are poised to enhance the performances of even the most discerning players and cut through any acoustical situation. These low-tension strings create a lively and dynamic sound while supporting your instrument's exquisite vocal quality. Professionally installed and 100% sound adjusted in the U.S. for reliable and comfortable playability and optimal sound.